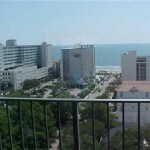 On the quieter northern side of Myrtle Beach sits an unsurpassed resort property. 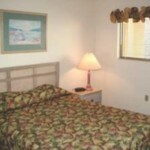 Ocean Villas Myrtle Beach Club is a favorite affordable Myrtle Beach lodging choice for family vacations. 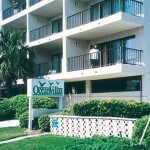 Ocean Villas Beach Club’s lodging accommodations are located north of downtown Myrtle Beach and just a block inland from the shores of the sparkling Atlantic Ocean, making this a great place to stay on “The Grand Strand”. 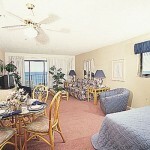 Enjoy the excitement of Myrtle Beach from Ocean Villas Beach Club Resort. Guests receive free membership at a nearby health and fitness club, which offers an indoor swimming pool, sauna, steam room, health bar, and exercise equipment. 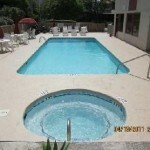 You can also enjoy the resort’s outdoor pool. Myrtle Beach has something for everyone — almost 100 championship golf courses, Broadway at the Beach, Barefoot Landing, Fantasy Harbour, music theaters, restaurants, nightspots, and miles of coastline and beaches. 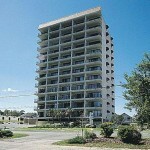 We no longer own at this resort, but contact us to ask about our other current Myrtle Beach vacation rentals. 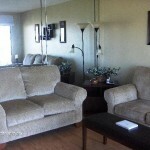 Each lodging accommodation sleeps 6 people, with a queen bed in the bedroom, plus a queen sofabed and a queen or double Murphy wall bed in the living room. 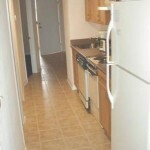 The condo vacation rental also provides a full kitchen and one and 1/2 bathrooms. 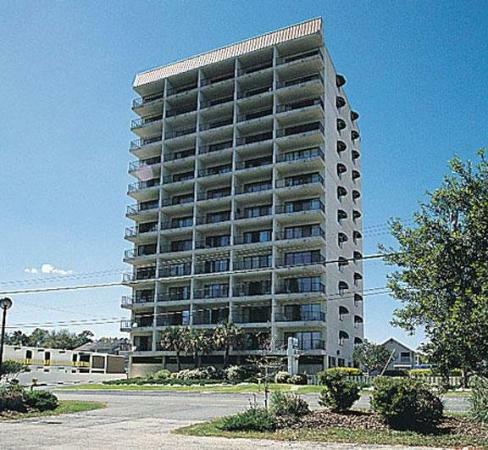 Surrounded by restaurants, nightspots and miles of sandy beaches, Ocean Villas is situated in beautiful Myrtle Beach, South Carolina and offers spacious condos with full kitchens and balconies. 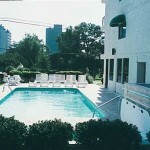 Ocean Villas Myrtle Beach & Racquet Club features an outdoor pool and hot tub. 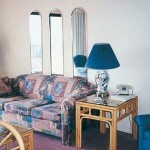 Guests can cook dinner with the poolside BBQ gas grills, or take advantage of the property’s on-site laundry facilities. Guests staying at Ocean Villas will enjoy complimentary use and membership at a nearby health and fitness club. The club boasts an indoor pool, sauna, steam room and fitness equipment.